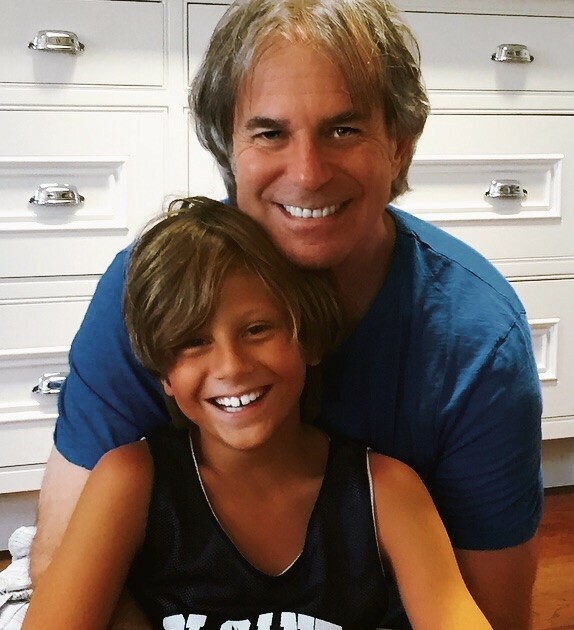 Jeff with his grandson, Sebastian. Co-Founder & President of The Roy Rogers Family Entertainment Corp.
Jeff is an award winning screen writer, director and producer, whose roots include theater. His decades-long relationship with the Rogers family has led to the production of “Happy Trails”, the musical, which will be followed by “The King of the Cowboys Rides Again”, an action-adventure feature film suitable for the entire family. Something Roy told Jeff early in their relationship, “I want the world to be aware of my native-American (Choctaw) heritage.” The film follows the adventures of Roy Jr. and his young friends and explores the depths of native-American culture. The King of the Cowboys’ history in cinema and television always centered around “the children,” Roy with Trigger always came to the rescue, and does again in this film. Jeff’s additional projects currently in development and/or under option also include: ‘The Same Sky” (Conflicts in the Middle East and little known charitable endeavors); “A Flower In Brazil” (Political Thriller); “Five Stones” (Psychological drama, set in the beauty of the Hawaiian Islands); “In My Life” (Romantic comedy set in New York City); “Impact” (A compelling TV news and information program); and “Happy Trails” (A Broadway Musical, based on the lives of Roy Rogers and Dale Evans). Mr. Kramer is an experienced, successful entrepreneur. As COO of a public company, he managed the financial turn around and subsequent sale of the company, dramatically increasing the stock price from pennies to $14 a share. He proved himself to investors and shareholders alike as he demonstrated the rare combination of creative talent and managerial excellence. His experience in the entertainment industry and public markets enable him to attract talent and capital.